As you will already be aware, Anglianbus ceases operating services after today although it ran the 61 route connecting Lowestoft with Kessingland for the last time yesterday. 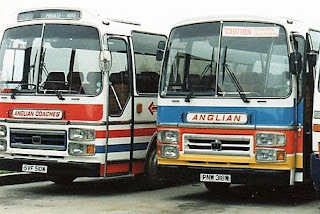 Regular contributor Robert Kelly tells me that the company began in September 1981 in Loddon, Norfolk after moving from London as Jubilee Coaches, trading as Anglian Coaches. The PSV Circle News Sheet for July 1981 refers and at the time the fleet consisted entirely of Ford motor coaches. 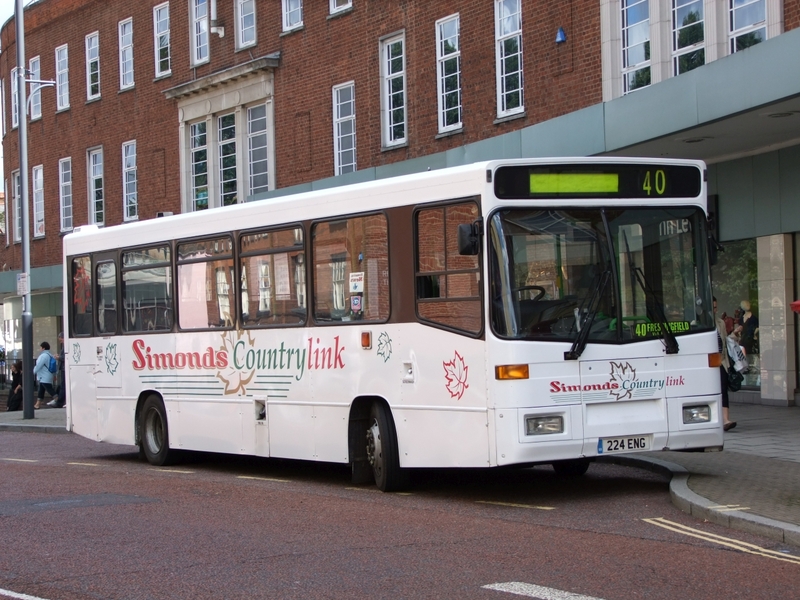 The last service from Kessingland, the 13:25 departure to Lowestoft Bus Station, and the 13:55 return was operated under the Anglianbus name for the last time by the appropriately 61 liveried Scania OmniLink AN61LAN. My appreciation goes to Simon Bartram for recording the last service runs for which I am very grateful and my thanks too to Robert Kelly for the research. 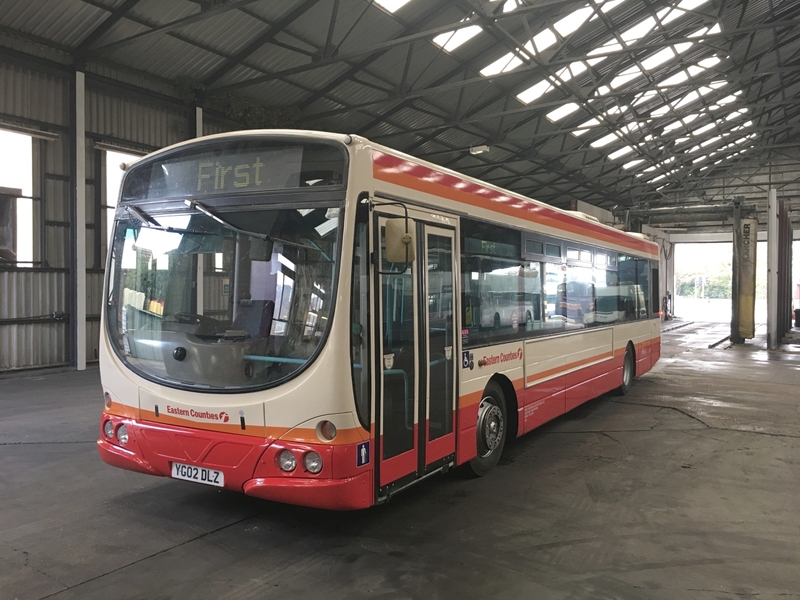 The latest heritage repaint for First (60915 YG02DLZ) which we reported last week has been at Caister Road Depot since Sunday being prepared for service. It is due to return to Norwich shortly. 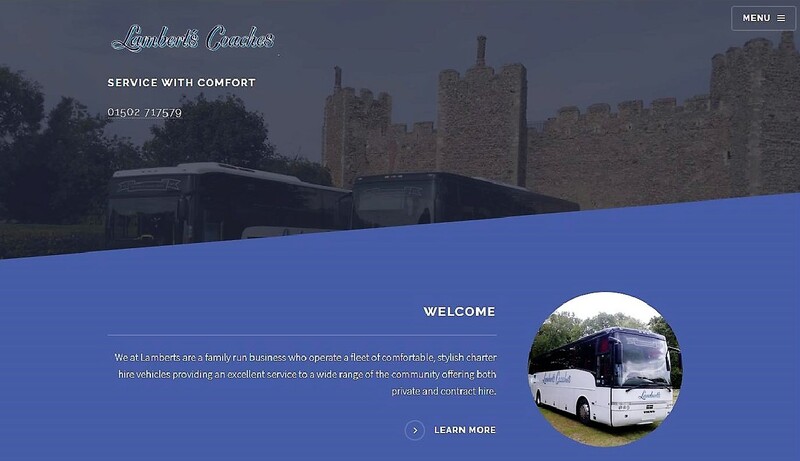 Beccles-based Lambert's Coaches have recently launched their new website. 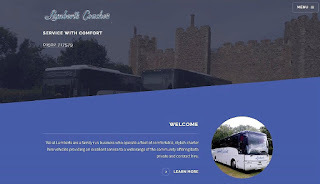 In addition to details about the company, the new site also includes timetables of its six school services. I also offer my apologies to the operator for any embarrassment caused. 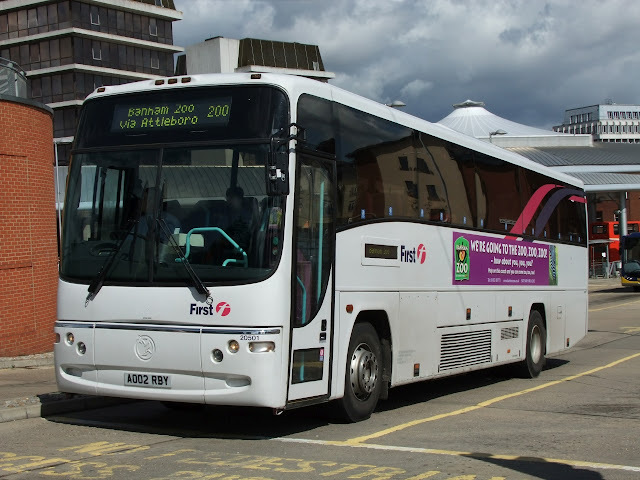 Quite a few changes to local bus services to record following the publication of today's Notices and Proceedings Report by Eastern of England Transport Commissioner. Registrations already reported are included here for the sake of completeness. Thompson's Coaches of Framlingham has registered a schooldays only service between Debenham High Street and Farlingaye High School. Commencing on 4th January 2018, it will also serve Kenton, Earl Soham and Framlingham. First Eastern Counties is amending the stopping places of its 99/99B Lowestoft - Kessingland route from 13th November 2017. 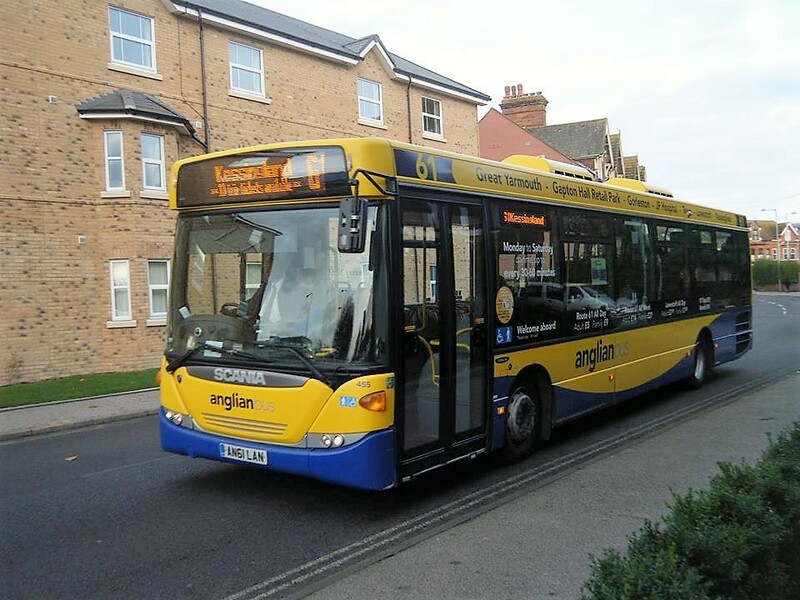 As previously reported, Anglianbus is to cease operating its 61/61A/61B/61C services between Kessingland and the James Paget Hospital from 2nd January 2018. Their 85 Surlingham to Norwich service is also cancelled from the same date. 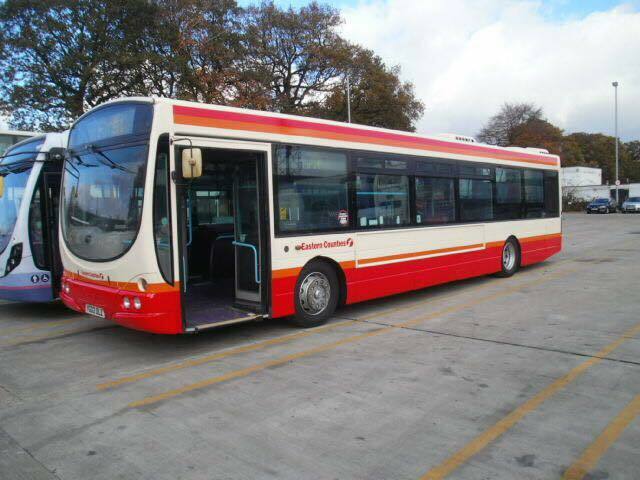 Anglianbus has been given approval for a new operating centre for ten vehicles at Goshawk Road, Dereham. The licence is also to be upgraded from Standard National to Standard International level. 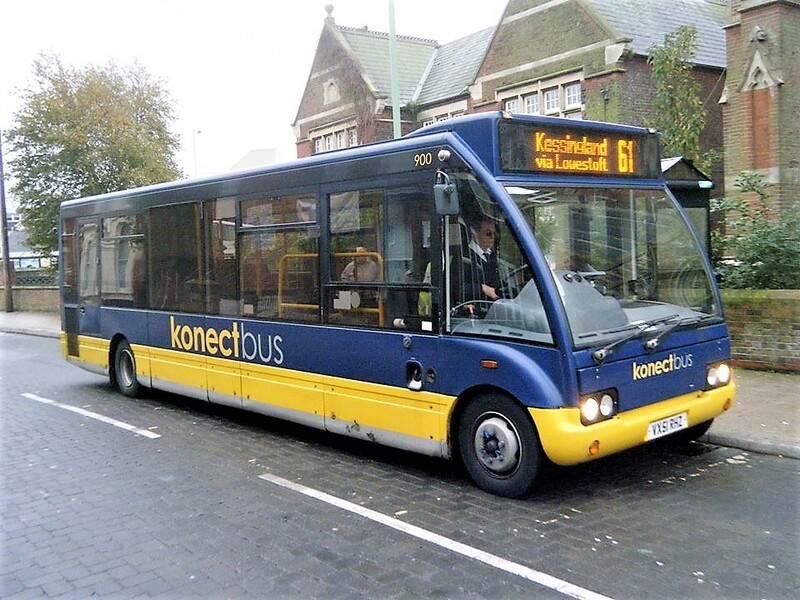 After months of speculation and rationalisation of services, it has been announced on the Anglianbus website that from next Monday (20th November) it will operate as Konectbus. 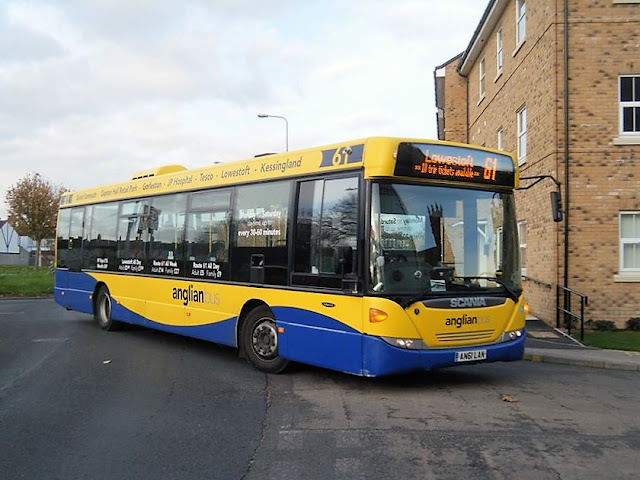 Anglianbus services will continue operate as normal, but under the new name, with all information, including timetables and fares, being migrated to the Konectbus website. It is a sad end to a once prestigious company that, at one time, was giving First Eastern Counties a run for its money on some of its routes. 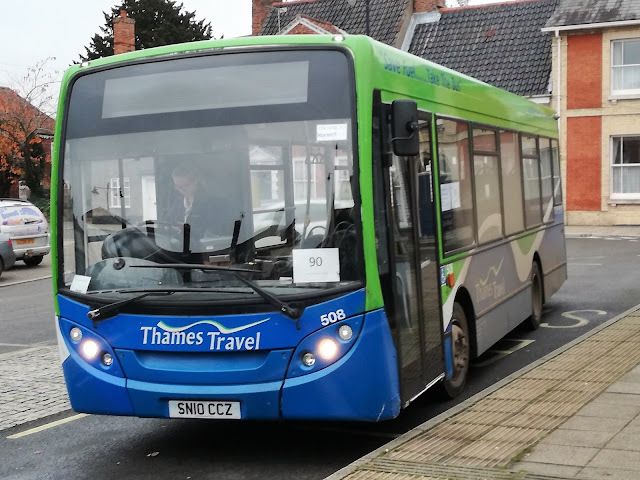 With today being the last day of Anglianbus 61 journeys from Great Yarmouth's Market Gates, I thought I would take a couple of photos to record the event. 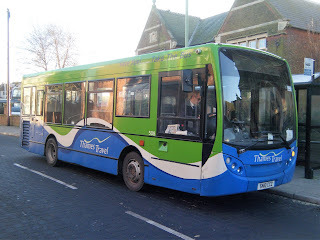 As most of my photos of the route have been taken either in Gorleston High Street or at the Great Yarmouth terminus I thought of using alternative locations at Cobholm where I had spent much of my formative years. Having lived and attended both junior and infant schools in the area, I knew it quite well and I can remember Caroline Coaches parking some of their coaches (Bedford OB's and Fords especially!) on Coronation Green close to where the owner lived. I also remember the Corporation Blue Bus service number 6 to the old Regal Cinema/Theatre. 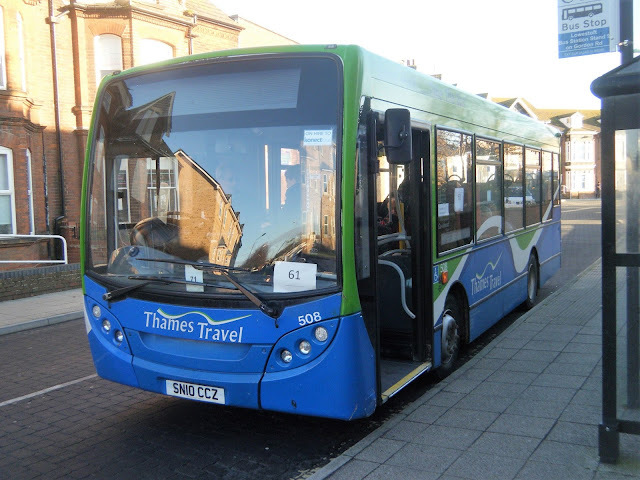 From Monday the northern terminus for the 61 will be the James Paget Hospital in Gorleston. 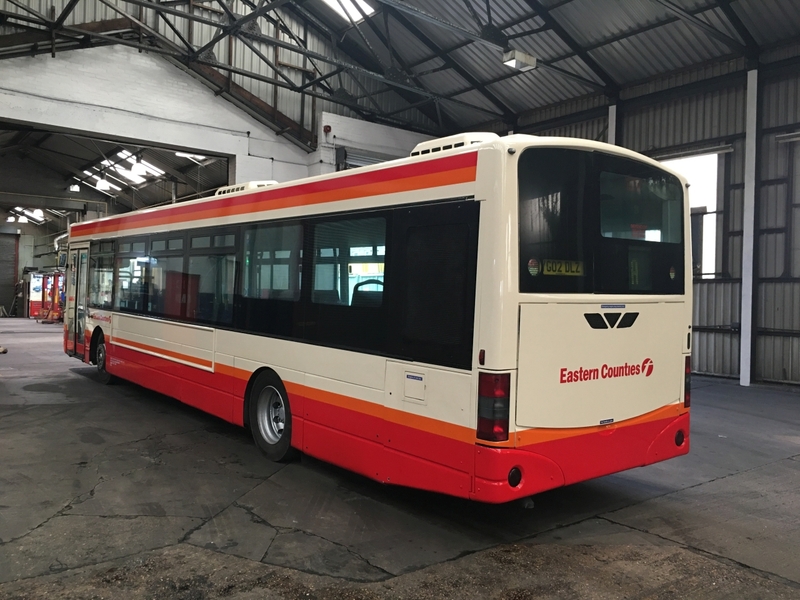 A Surprise arrival back at Roundtree Way Norwich today is Volvo B7L 60915 YG02DLZ which has reappeared after repaint at Simon Morris in another Heritage Eastern Counties Livery, it is the reverse Cream Red version of that carried by sister 60916. Thanks to First for use of the new photo. Just the one change to local bus services to record following the publication of today's Notices and Proceedings Report by Eastern of England Transport Commissioner. A drive along Great Yarmouth's Marine Parade during yesterday afternoon provided the sighting of two Shearings Holidays coaches. 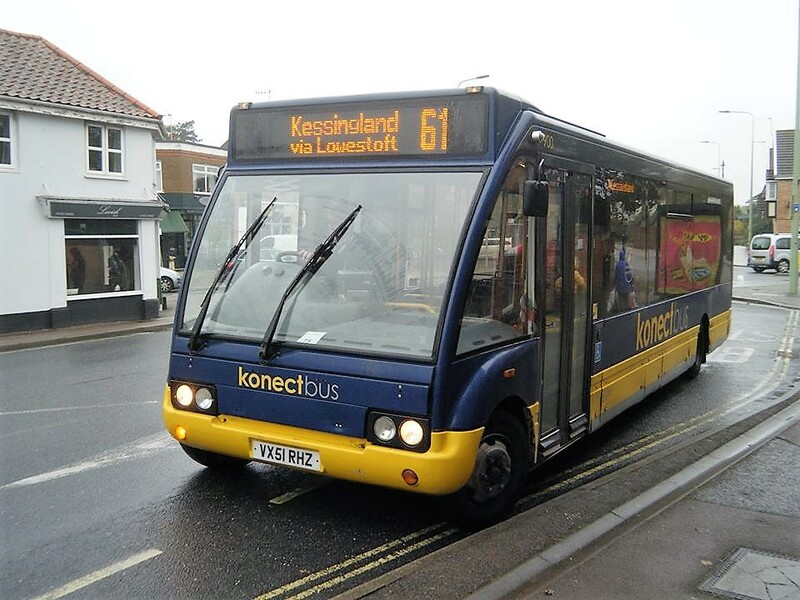 Following on from Wednesday's post about the use of a Konectbus Versa on Anglian's 61 route between Great Yarmouth and Kessingland, Simon Bartram makes contact concerning the continued use of that operator's vehicles on Anglian's 61 service yesterday. 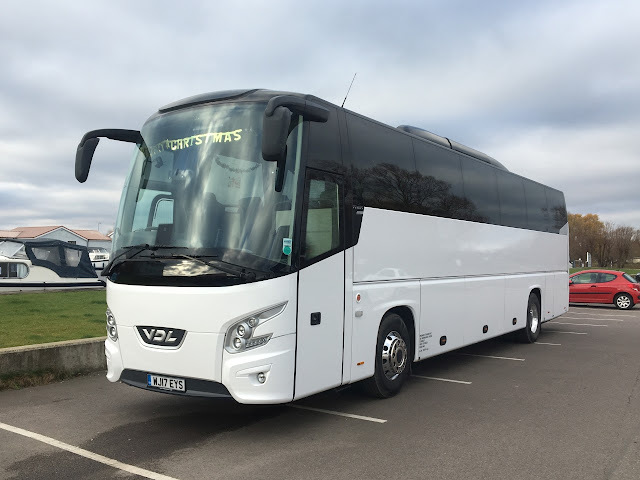 During the late morning he saw three of the five services worked by Konectbus Optares - they included Tempos 408 (YJ56WVB) and 409 YJ57EGY plus Solo 900 VX51RHZ. A visit to Southwold beckoned today with my main aim of getting a photo of Anglian's new 90 service between Southwold and Halesworth via Beccles. The 90 started on Monday this week and replaces the former 60S and 60H routes and is also financially supported by Suffolk County Council. 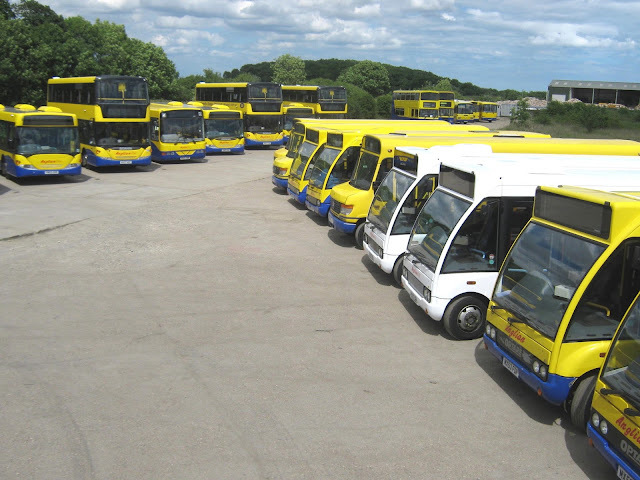 As part of the Council's 'on-going efficiency savings' the timetable as been slightly reduced. Apart from an early schools working, there are only three departures from Southwold on Mondays to Fridays. 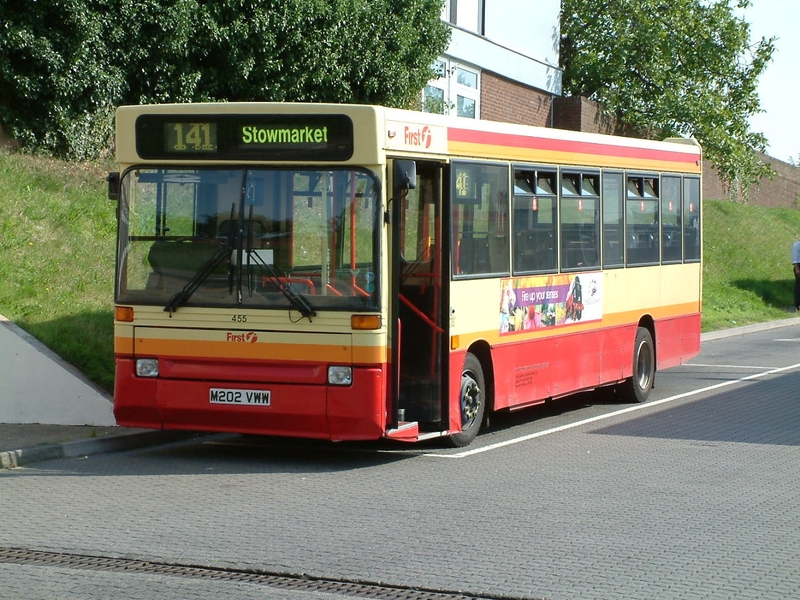 Some journeys do continue to Southwold Pier to terminate including First's 99, BorderBus' 146 and Anglian's 88/X88 services. Also making an appearance in the early afternoon sunshine was Grebe Coaches of Beccles MIL1417, a Plaxton Cheetah bodied Mercedes. After paying a visit to the Adnams shop, I then consumed my lunch sitting in the sunshine overlooking the sea and pier. What a pleasant visit! 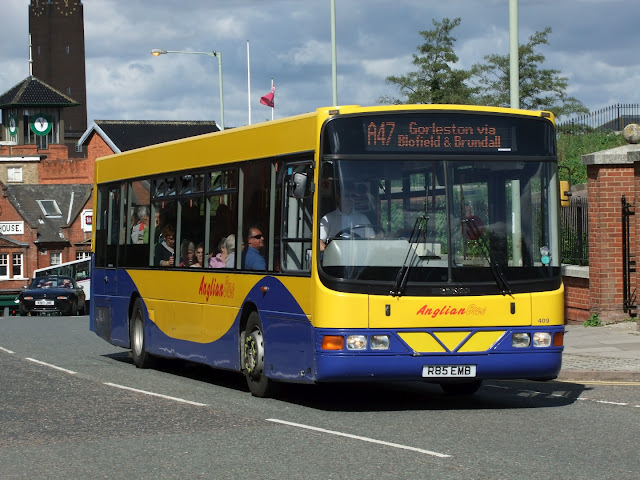 A couple of unusual use of vehicles have appeared on Anglian's 61 service between Great Yarmouth and Kessingland during yesterday afternoon and this morning. This morning a Konectbus Optare Versa appeared on the route with 304 (MX58KYV) working the 10:44 from Great Yarmouth. Moving to Caister Road are three Dennis Trident/Plaxton Presidents from First South West which were initially transferred to Norwich. (see Grahame's earlier post) They are here following the increase in Bernard Matthews contract work during the period leading up to Christmas. 32801/49 (T801/49LLC) both arrived at the seaside yesterday with 32809 (T809LLC) turning up today. 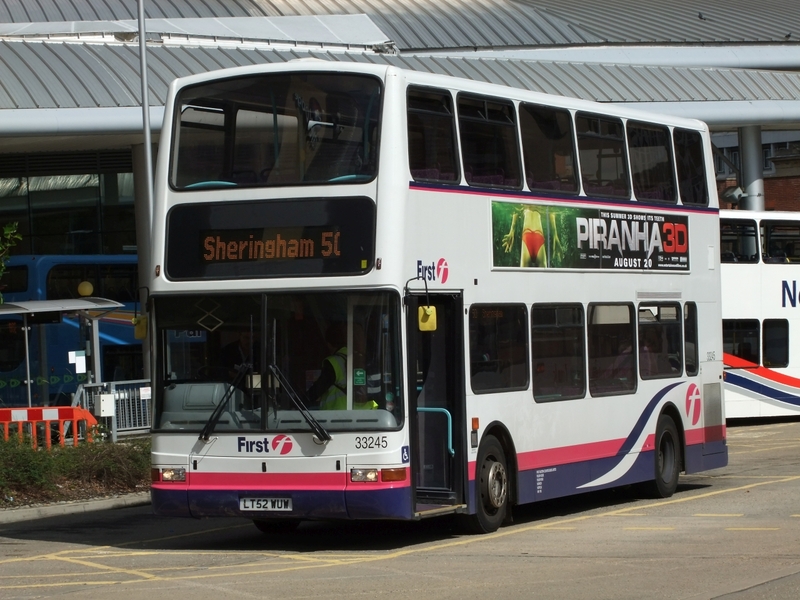 First Great Yarmouth lost no time in getting both into revenue earning service with them being used on the 8's between the James Paget Hospital and Caister's Marram Drive earlier this morning. 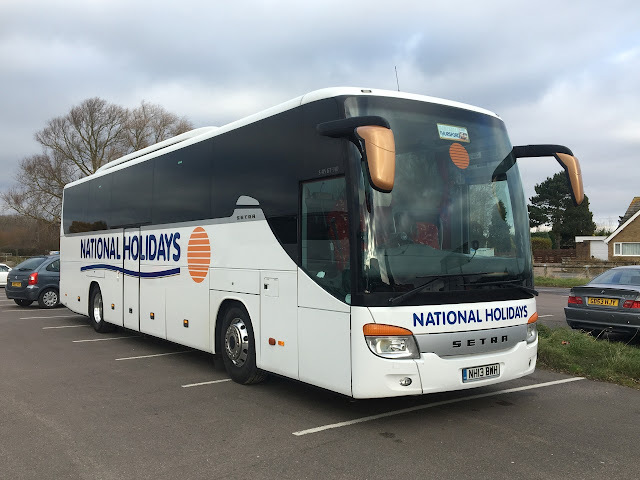 Norwich's Wright Eclipse 66343 (MV02VCW) was noted on Great Yarmouth services yesterday on loan and is also due to return to the city later today. Also off to the 'fine city' are Volvo B7TL/ Plaxton President's 32212/4 (LT52WTV/X).